BlackBerry has recently made use of the term "Super App" in some of its latest ads for BlackBerry App World. For example, the recent spot that showed a couple of female food bloggers using Urbanspoon to select which restaurant to write about, made use of the "Super Apps" name. Now, RIM has released a new video aimed at developers and corporations, urging them to produce "Super Apps" for BlackBerry devices. 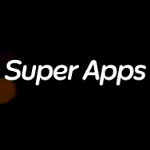 So what is a "Super App"? As the video tells us, an app merely tells us the temperature and weather conditions while a "Super App" would take this information and integrate it with your calendar to remind you to bring an umbrella when you are "flying to Seattle". A regular app might give you the schedule of your favorite team. A "Super App" not only gives you the schedule, it will alert you when the game starts, when runs are scored, or as the video points out, "alert you when your favorite player is on-deck". Obviously a way for RIM to try to get some power users to consider BlackBerry over the Apple iPhone or some of the powerful new Android models being introduced this week at the MWC, the whole "Super Apps" program breaks down if developers don't do the work that RIM is counting on. It might take some time to see if this becomes a successful marketing tool for BlackBerry, but in the meantime we can give RIM credit for coming up with a super idea. BB will be dead soon enough. The hardware and software including apps are way too far behind. Once the generation of people that started with BB's are gone, so will the entire market for BB. No one new to smartphones are choosing BB. I thought BB was suppose to introduce integration of Android apps to the black berry market? I could swear i remember reading somewhere that black berry having java capabilities would allow for the introduction of android marketplace applications to the black berry hand sets? I respectfully disagree. WebOS and Windows Phone 7 have corporate giants in HP and Microsoft, backing (and by backing I mean heavily investing and showering with money) them and pushing their respective OSs to the top. BlackBerry surely has a nice hold on things now, as there are many BB users, but as mentioned before, they are going to be switching to WP7, Android, iOS... BB is in trouble and it needs a plan if it wants to stay competitive. I am a iphone fan. I could see myself switching to wp7, android or even webos. However, the thought of blackberry is a joke. They tried to reinvent themselves with the Storm and then again with bb 6, and in my opinion both are fails. they keep themselves 2 steps behind the competition. I sometimes feel like a Blackberry defender, when in reality I am not. I see Blackberry for all the short comings they have, and agree they are several steps behind the competition. But I just see a company that ensures it's core consumers are taken care of first, and is worried about new markets next. There are enough dedicated BB users to keep them revelent for them to catch up. They still are attempting to put devices that will last for years, battery life that does not fail, security second to none, and build on those cornerstones. They are generations behind in apps- this story shows they are attempting a direction a little different from the competition to address that. They are now coming out with 1.2 G processors, reconizing they haven't had a real high end smart phone in years. Sure, dual core processors will have passed them by, but again it seems to me they refuse to sacrifice battery life for new tech. They attempted a slightly different approach to touch screens with the Storm (and looks like they have learned their lesson on that and will compete with a more tradition screen). I think Blackberry will survive. I won't bet a 20$ on it, but if what I wanted in a phone was in a Blackberry, I would not be scared to buy one.